What’s the fearsome weapon that was added to Fortnite this morning? What should players be watching their backs for after today’s 3.4 update? 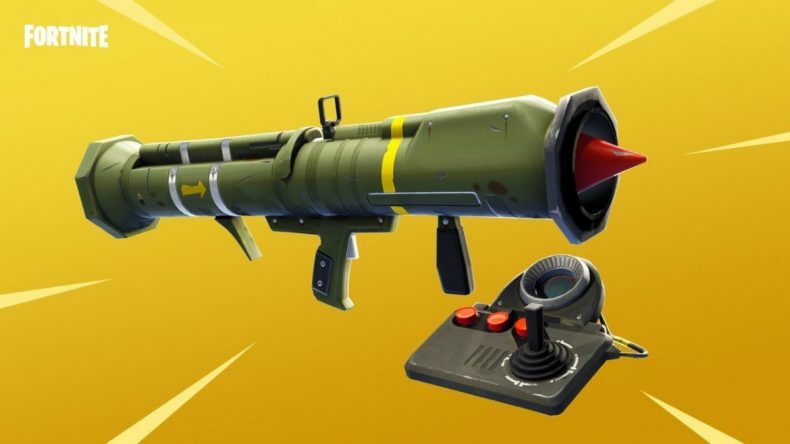 It’s the guided missile, Fortnite’s latest explosive weapon. It comes in Epic and Legendary variities, which do 105 and 110 damage respectively. Launch the missile and your POV will be centered around it. From there you can guide the missile to whatever target you desire, anywhere on the board. You might be worried that guided missiles will give their possessor an unfair advantage. If someone can deal a ridiculous amount of damage from anywhere, is the game balance broken? Not exactly. The weapon is only a few hours old and it’s too early to tell at this point, but using the guided missile comes with a big DISadvantage: as long as you’re controlling the missile, you can’t control your own character. They’ll be completely vulnerable. You can switch back to your avatar at any time, but that requires giving up control of the missile and letting it glide in a straight line from wherever you left it last. One item that DID break the game was removed earlier this month: the Boogie Bomb. It wasn’t any fault of the bomb itself, but players discovered they could use it to bomb themselves and pick up an unlimited amount of items. Upon discovery of that glitch, the Boogie Bomb was pulled from the game for retweaking. As of today it’s back.